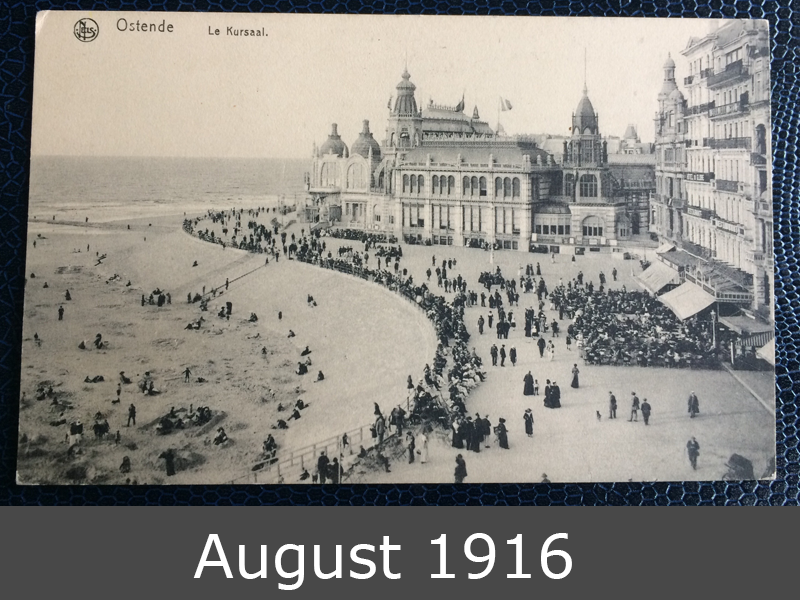 This card goes via Feldpost from Ostende, Belgium, to Ingolstadt in Germany and shows the beach and the center of Ostende. 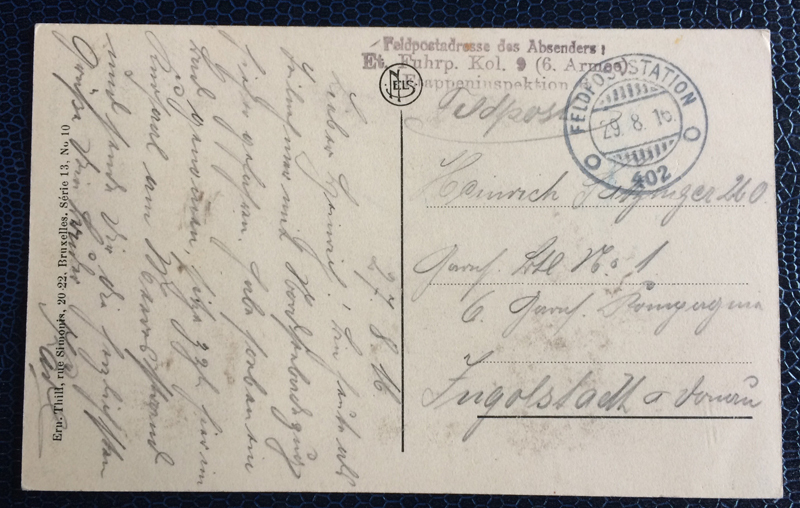 Stamp was not necessary, because field post doesn’t need stamps. Year 1916 – during World War I.